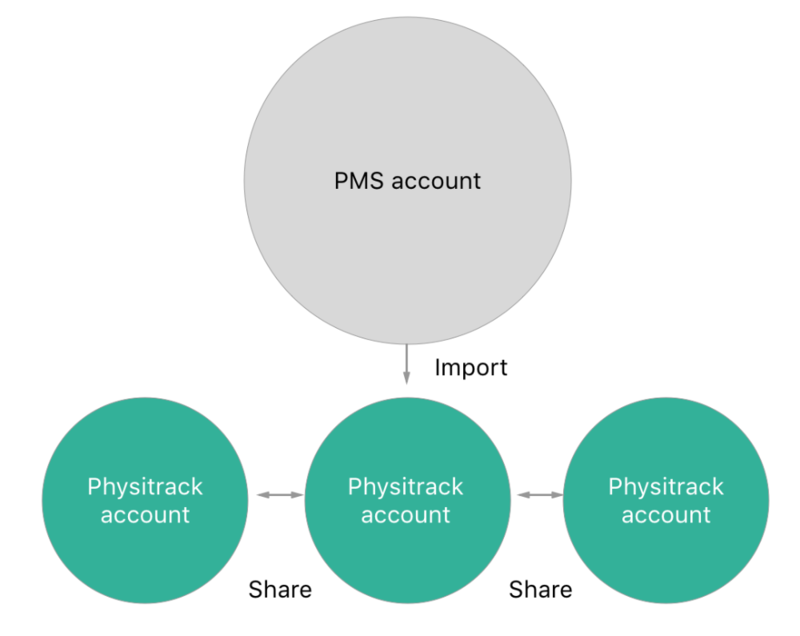 How can I combine multiple PMS accounts into one Physitrack account? Each Physitrack account can only be linked to one patient management system (PMS) account at a time. 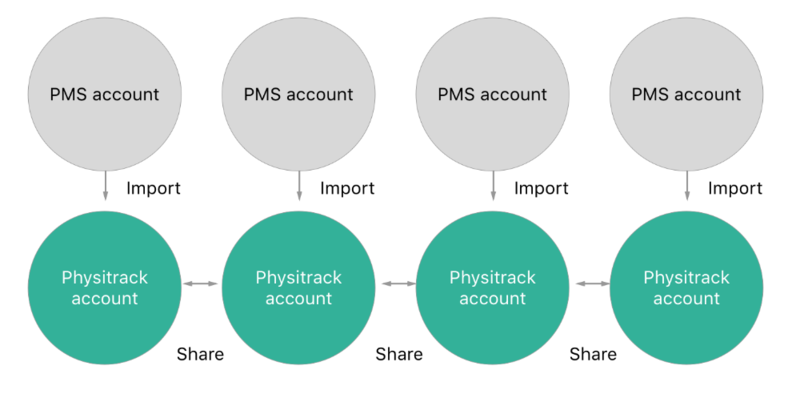 If you have one PMS account (with the same set of clients) that you use throughout your practice, then you only need to link one of your clinic's Physitrack accounts to the PMS account, and then enable patient sharing between the Physitrack accounts. (Illustration below).